Candace C. Hill started her ministry in Texas, first as a classroom teacher with certification in kindergarten through eighth grade. She transitioned to Christian education as her calling, first as a volunteer home-visitor coordinator and then as the director of preschool ministries for twos and threes in a 5000-member Baptist church. After moving to Pennsylvania in the mid-80s, Candace expected to return to public education, but God had something else in mind. Candace began teaching preschool at First Presbyterian Church, Murrysville, PA, and a year later became director of Christian education, serving in that role from 1989 to 1994. She served in Redstone Presbytery as a Presbyterian Reformed Educational Ministries (PREM) advocate. Being open to new ideas and ways of being a follower of Christ made her a remarkable leader. 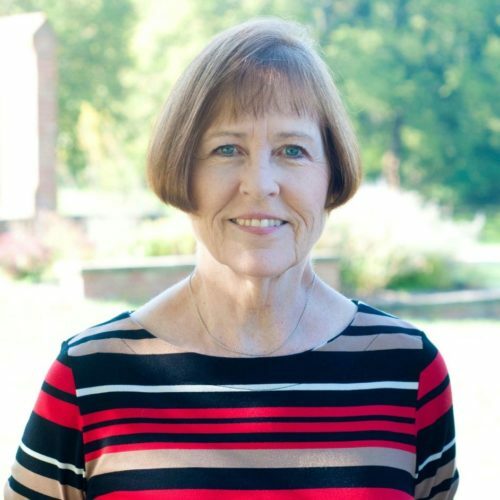 Candace was called to Fox Chapel Presbyterian Church as director of children’s ministry in 1994, serving until fall of 1999, where she is remembered as a wonderful listener and mentor. She also served as an education advocate through Pittsburgh Presbytery. After marrying and moving with her pastor-husband to Blackhawk Presbytery, Candace returned to volunteering in educational ministry at First Presbyterian Church, Kankakee, Illinois, while she worked as a state evaluator and developmental therapist in early-intervention from 2000-2003. She served the presbytery as a member of the Christian education and spiritual nurture committee, the presbytery visioning task force, and as the Presbyterians Organized in Nurture & Teaching (POINT) representative, assisting churches with educational ministry and curriculum interpretation and selection. In 2004, Candace became the associate for the POINT network and later the coordinator of educational ministries for the PC(USA), becoming a Certified Associate Christian Educator in 2007. She touched lives across the breadth of the Presbyterian Church and beyond, until her retirement in December 2015. Formation of educators is a compelling legacy from Candace. She empowered educators to lead spiritual formation in their own congregations and presbyteries. Bringing what she learned from every stage of her career, Candace served with energy and enthusiasm. The light of Christ radiates from Candace. Having returned to Pennsylvania, Candace is a member of Aspinwall Presbyterian Church, where she continues to serve in many avenues with the same energy, enthusiasm, and positive spirit. We are grateful for the ministry of Candace Hill.